8:30 a.m. - 5:15 p.m.
Dr. Christina Hemphill Fuller is an assistant professor at the School of Public Health at Georgia State University in the Division of Environmental Health. Dr. Fuller works in the field of air quality exposure assessment and environmental epidemiology. Her research interests include outdoor air pollution, the effects of air pollution on respiratory and cardiovascular health, community-engaged research, urban health and environmental justice. 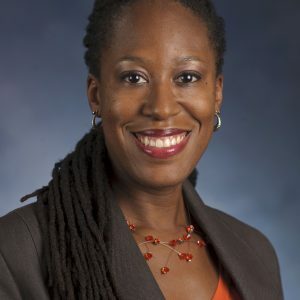 She was a co-investigator with the Environmental Health Core of the School of Public Health’s Center of Excellence for Health Disparities Research (CoEx). She has headed projects at Georgia State characterizing relationships between air quality, transportation and demographic factors in the Atlanta area. Currently, she is examining the joint effects of air pollution and social factors on cardiovascular health as a JPB Environmental Health Fellow. She is an alumna of Northwestern University where she earned her bachelor’s of science degree in environmental engineering. She received her master’s degree and ScD from the Harvard School of Public Health. Hemphill Fuller C. Air Pollution. In Encyclopedia of Immigrant Health, ed. Loue S, Sajatovic M: Springer Science and Business (2012). Hemphill Fuller C, Reisner E, Meglio D, Brugge D. Challenges of using CBPR to research and solve environmental health problems. In Participatory Partnerships for Social Action and Research, ed. Harter L, Hamel-Lambert J, Millesen J: Kendall Hunt (2011). 1. Johnson R, Ramsey-White K, Fuller CH. Socio-demographic Differences in Toxic Release Inventory Siting and Emissions in Metro Atlanta. IJERPH (under consideration). 2. Fuller CH, Williams PL, Mittleman MA, Patton AP, Spengler JD, Brugge D. Response of biomarkers of inflammation and coagulation to short-term changes in central site, local, and predicted particle number concentrations. Annals of Epidemiology. 2015;25(7):505-11. doi:10.1016/j.annepidem.2015.02.003. 3. Gallagher J, Baldauf R, Fuller CH, Kumar P, Gill LW, McNabola A. Passive methods for improving air quality in the built environment: A review of porous and solid barriers. Atmos Environ. 2015;120:61-70. doi:10.1016/j.atmosenv.2015.08.075. 4. Lane KJ, Scammell MK, Levy JI, Fuller CH, Parambi R, Zamore W, Mwamburi M, Brugge D. 2013. Positional error and time-activity patterns in near-highway proximity studies: An exposure misclassification analysis. Environmental Health. 12(1):75. 5. Fuller CH, Patton AP, Lane K, Laws MB, Marden M, Carrasco E, Mwamburi M, Zamore W, Durant J, Spengler JL, Brugge D. 2013. A community participatory study of cardiovascular health and exposure to near-highway air pollution: study design and methods. Reviews on Environmental Health. 28(1):21-35. 6. Fuller CH, Brugge D, Williams PL, Mittleman MA, Lane, Durant JL, Spengler JD. 2013. Indoor and outdoor measurements of particle number concentration in near-highway homes. Journal of Exposure Science and Environmental Epidemiology. 23(5):506-512. 7. Fuller CH, Brugge D, Williams PL, Mittleman MA, Durant JL, Spengler JD. 2012. Estimation of ultrafine particle concentrations at near-highway residences using data from local and central monitors. Atmospheric Environment. 57:257-265. 8. Arku R, Vallarino J, Dionisio KL, Willis R, Choi H, Wilson JG, Hemphill C, Agyei-Mensah S, Spengler JD, Ezzati M. 2008. Characterizing air pollution in two low-income neighborhoods in Accra, Ghana. Science of the Total Environment. 402(2-3):217-231.